Next Olympic Games are going to be held in British, and it is also a best business opportunity. Samsung is going to introduce its new 3S phone in April. This is a High Tech phone, and this High Tech phone contains a special processors and with best features. Now, there are five main big competitors of them. Samsung Galaxy already comes as a strongest competitor of Apple iPhone, so that’s why their new advanced phone will also create problems for them. The chip which was use in it is basically using in High Power laptops and computers. So you can easily roughly estimate that how much powerful is that phone. This new Samsung phone have 4.8 inch HD display screen, what was bigger than their Galaxy 2. IF Apple will introduce their iPhone 5 during time then its heavy weight competitor is S3. Samsung used an advanced technology in its Galaxy series that’s why it will remain in front of apple iPhone. Recently introduced Galaxy S Advance which is cheaper public model, now available for consumers and get so much popularity. 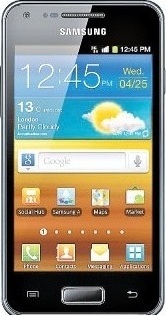 Galaxy S2 is introduced in August 2011 and it quickly gets high popularity, and 20 millions sets of Samsung Galaxy S2 are already sold, its screen is 4.3 inch, resolution is 800x480 pixels, and have 1.2 GHz processor. It operates by Android 2.3 Ginger Bread system and having a 8 mega pixel camera. In its new model S3 have 4.8 inch screen with 1080 Pixel HD resolution. And also have 1.5 Exynos processor. It operates by Android 4 Ice Cream Sandwich system and it also has an 8 Megapixel camera. It is first cell phones set in which laptop processor is used and it also have so many similar abilities as present in Apple’s iPhone. Both devices are handy. Both have some different features on particular level. But I go with Apple iPhone 5 because user experience with Apple Devices always outstanding.